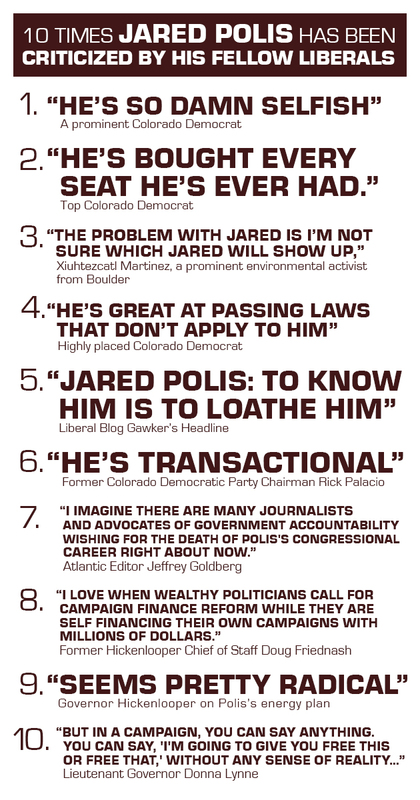 Greenwood Village, CO – On this Flashback Friday, the Colorado Republican Party is reflecting on the many times his fellow liberals told the world how they really feel about Congressman Jared Polis. Ten examples, in no particular order, appear on the graphic below. (Note that none of these comments was made during the contested gubernatorial primary.) A comment from Colorado Republican Chairman Jeff Hays appears at the bottom of this release.